This patient in her 60's wanted to rejuvenate her face as she now felt 'invisible'. 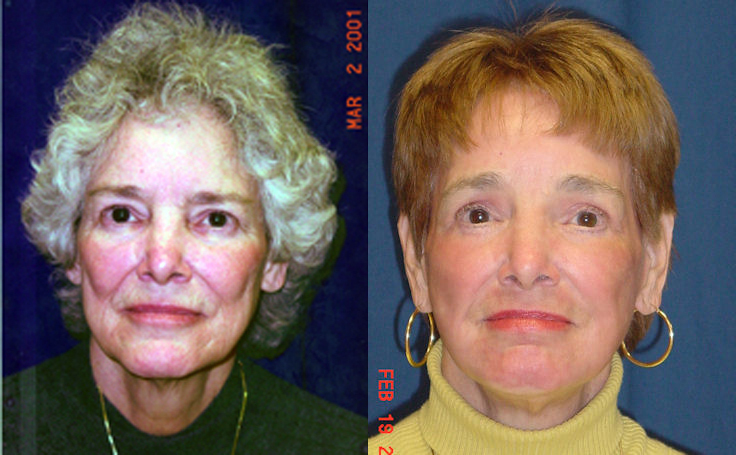 She desired a more youthful appearance to match her active lifestyle and energetic personality. Dr. Ricardo Rodriguez performed a full Facelift on this patient at GBMC hospital in Baltimore, Maryland. The surgery included a browlift, mid facelift, and lower facelift. Also, in order to give the skin a healthier appearance and repair it from sun damage, Dr. Rodriguez also performed CO-2 laser resurfacing on her skin. The final result was a transformation of the patient's facial appearance.